Though Fernanda’s Instagram is private, In Touch Weekly accessed and shared the post. During the scene, Ceci revealed that Jonathan missed a Christmas to visit Fernanda overseas and propose. 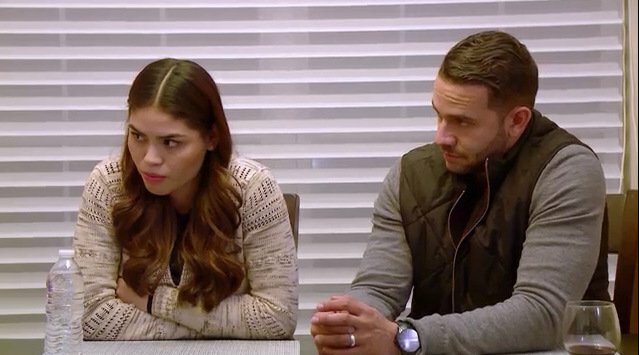 If Ceci was worried about Fernanda deepening the rift between the family, it was completely unfounded. Fernanda has actually been helping her fiancé rebuild relationships with his family. It’s so nice to know that these two ladies have opened their hearts to each other. Since Fernanda is still in the United States, it’s more likely than not that she and Jonathan have wed already. TELL US- DID CECI HAVE REASONABLE CONCERNS? DO YOU THINK FERNANDA FLORES HAS BROUGHT THE FAMILY CLOSER TOGETHER? WILL FERNANDA FLORES & JONATHAN RIVERA’S RELATIONSHIP LAST?